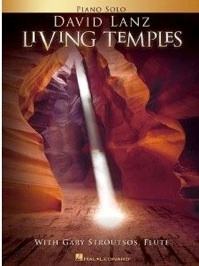 The Living Temples songbook is the companion book to David Lanz and Gary Stroutsos’ soundtrack for the DVD and CD of the same name. The film is about the majestic rock formations of the American Southwest, and the music is spacious, sometimes majestic, and often flowing. 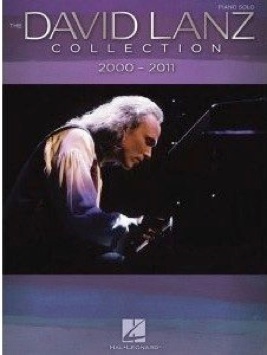 The soundtrack itself is ensemble music, so this solo piano book cannot duplicate that sound exactly, although it comes close. Quite a few of the pieces include the flute parts, one is a flute solo, and one includes a cello part. 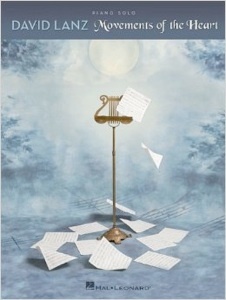 (If you don’t have a friend who plays the flute or cello, a keyboard with those voices could be a suitable substitute.) All of the transcriptions are full, lush, and fun to play (except “Ancient Voices,” which is the flute solo). None of the pieces are overly difficult and the music is quite slow, so most intermediate to upper-intermediate players should have no trouble with them. 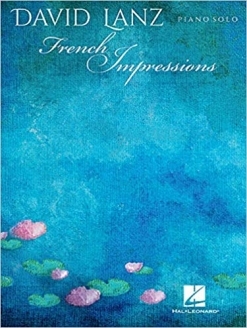 I find the whole book to be very enjoyable to play, and some favorites are “Rio San Rafael,” “Desert Star,” “Rain Dancer,” “Sea of Mescalero,” and “Temple Dance. It is available from davidlanz.com and amazon.com. Very highly recommended!